The general prosecutor in Rabat decided, on Monday, to continue a complementary probe into the case of the five Moroccans formerly detained in Guantanamo. The hearing, which was closed to public, was postponed to March 7, said defence lawyer Abdelfattah Zahrach. Zahrach told Morocco Times that the decision to postpone the trial was to enable the organization of a face-to-face meeting between the five defendants and Noureddine Nifiaâ, who is serving a 20 year prison sentence for belonging to the Moroccan Islamic Combatant Group. In December 2004, the court had granted bail to three of the five former Guantanamo detainees who are facing the same charges: Abdallah Tabarak, 49, suspected of serving as a bodyguard for Al-Qaeda leader Osama bin Laden in Sudan and Afghanistan; Mohamed Ouzar; and Redouane Chekkouri. Two others, Mohamed Mazouz, 32, and Brahim Benchekroun, 26, were denied bail last month, pending trial on charges of criminal association, and for failing to report crimes that could have undermined the security of the State. Arrested in Pakistan and Afghanistan in late 2001, all five were accused of taking part in training courses on how to handle firearms and make explosives. At last fortnight's hearing, the defendants denied belonging to the Moroccan Islamic Combatant Group” and any link with Bin Laden. They stressed that they had no military training in camps in Afghanistan, denying knowledge of the prisoner Noureddine Nifiaâ or any members of Al Qaeda. The five men also denied prior knowledge of any terrorist project targeting Morocco. In turn, the court rejected the defence's claim that the court of appeal was incompetent to deal with this issue. The defence also argued that the acts for which the five defendants were apprehended by American authorities took place outside Morocco. Abdelfattah Zahrach, both as a lawyer and a human right activist, is very determined to win the trial. He considers the case a human right's issue, criticizing the US authorities' treatment of the five defendants, who were transferred to Guantanamo after their arrest in Afghanistan. “The United States is violating international laws and conventions. The Moroccan court, instead of suing the US for its human rights violations, is suing those Moroccans, who were held without due process and in total violation of the norms and standards of international humanitarian and human rights law," said Zahrach. The five men claim they were stripped naked and handcuffed before having dogs set on them. Abdallah Tabarak, 49, suspected of serving as a bodyguard for al-Qaeda leader Osama bin Laden in Sudan and Afghanistan, denied any link to Al Qaida or Bin Laden. Tabarak, who refused to talk to the media, told Morocco Times that he still suffers from the consequences of the torture he underwent at Guantanano. “I am now concerned about my health. I can't see very well, because I spent more than eight months in a tiny, dark, and single cell. I also have a constant backache due to the series of beating by American soldiers. I can not sleep now; I still have nightmares,” he said. Tabarak was astonished at his accusation of creating a criminal gang with the other defendants, claiming he hadn't met them until they were transferred to Morocco. “Some biased media accused me of being Bin Laden's bodyguard, but this is not true,” Tabarak added. “Do you think that if I was Bin Laden's bodyguard, the US would have freed me? I doubt it,” he added. Tabarak's defence lawyer, Zahrach, also criticized the way the five men were transferred by American authorities, stripping them of their possessions and official documents. The defence also protested against the court's refusal to ask questions on their detention conditions in Guantanamo. Each time the defendants brought up instances of torture during their two-year detention at Guantanamo, they were silenced by the Moroccan judge. “Those transferred from Guantanamo prison to Morocco did not commit any criminal act in their homeland. In this case, it is not within the Moroccan court's authority to try these defendants. The latter were not handed over within the framework of an extradition treaty between Morocco and USA,” said the lawyer. Hilal raised an important point concerning the basis of the trial. “The defendants”, he claimed, “are not being sued on the basis of the Terrorism Law, enacted in the aftermath of Casablanca May 16 attacks. However, they are tried on the basis of the Penal Code,” said Hilal. “The defendants can't be sued on the basis of either the Penal Code or the terrorism law, simply because they were arrested outside Morocco long before May 16. Besides, investigations have proved that they have no criminal record and have committed no crime in Morocco. We just do not understand why and on what basis the court is suing them,” he stressed. Both lawyers asked that every defendant be tried separately. They didn't have prior knowledge of one another, since they only met when they were transferred to Morocco in a US military jet. Even at Guantanamo prison, they were not allowed to have group meetings because everyone was detained in a single cell. The lawyers also asked for the Moroccan Minister of Justice and the US Ambassador to Morocco to be summoned to explain the hand-over circumstances of the five Moroccans, and the enigma that surrounds their case. The lawyers also required to see and include the legal procedures on which the National police based their investigations. These documents were not included in the court's file related to this case. Concerning the current complementary probe, the lawyers were surprised that the General prosecutor had not requested this until after the beginning of the trial, not taking into consideration the results of the police investigation and the judge's preliminary inquiry. 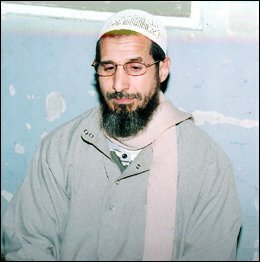 When asked about whether they were used by the CIA, Hilal told Morocco Times that “the defendants, besides their abuse in Guantanamo, were approached by the intelligence agency, who tried to used them as their agents either through political refuge in the US or in any other country of their choice. However, their plans failed because the Moroccans were proud of their nationality and their religion, and refused to cooperate with US intelligence. That's why they were transferred back to Morocco,” said Hilal. Both Hilal and Zahrach are confident that the five Moroccans will be soon freed, because for them there is no need to try them since there is no case and no crime. Although the charges are relatively minor, the trial is more high-profile than most of 1,000 terror cases tried in Morocco since the May 16 Casablanca bombings that killed more than 42 people. Analysts said that after the arrest of Moroccans in connection with the March 11 Madrid attacks and the murder of Dutch film-maker Theo van Gogh in November 2004 by a radical Moroccan, Morocco is trying to show that terrorism is not the outcome of the Moroccan society, and that these Moroccans are being recruited by international terrorist gangs.